One of the unfortunate aspects of working in this industry is the amount of time construction firms spend bogged down in court. The construction field has the dubious distinction of being one of the professions most likely to be involved in litigation either as plaintiffs or defendants. Veterans within the industry say that there are various reasons for this, but the single largest cause for this preponderance of lawsuits is miscommunication between parties. Such miscommunication could be between companies and clients, general contractors, and subcontractors, or suppliers and warehouses. In many cases, the initial problem snowballs from manageable to disastrous because necessary documents and/or instructions were not understood by all parties or were not complete, or site work was not documented. Even more frustrating than this lack of communication and field documentation say experts, is the fact that the same type of construction disputes are occurring repeatedly. It may be that in some cases, especially ones involving very large construction firms and clients, that legal posturing followed by settlements may allow all parties to move on. But for most firms, whether as plaintiff or defendant, construction litigation means a loss of time, money, and even professional credibility for the sued general contractor that really can't be afforded. Below are a few examples of the most common misunderstandings that lead to court, and techniques for dispute avoidance in construction. 1. Confusion Over Scope Of Work The subcontractor doesn't understand the extent of the work that is being bid on. The client has interpreted something entirely different than what the contractor is planning to do. Shouldn't these people be talking to each other to get on the same page? These parties do have the recourse of filing a Request For Information (RIF), but because of frequent confusion and misuse of this option, it's often ineffective. This is why construction software for daily reporting is so important. 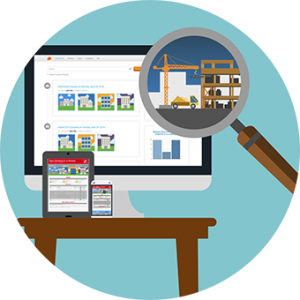 <strong>Raken</strong> for daily reports for example, allows contractors to chronicle all aspects of a project, and share this information with clients and subcontractors in real time, allowing for quick responses to problems. 2. Changes To Original Scope Of Work They can range from changes to the original design itself, to an extended completion time due to bad weather. While such changes are a given in almost any project, trouble can arise when such changes, ranging from supply delays to extra subcontractor work aren't reflected in the daily report. Construction software like Raken allows reporters to not only easily make updates, but allows reporting from other parties, like subcontractors, to be added to the document. 3. Site Conditions While the party commissioning a project is ultimately responsible for site conditions, contractors are legally obligated to investigate sites themselves and identify issues that can delay, prevent, or require extra efforts to complete work. Raken's features allow reporters to issue real-time warnings and add streaming video, photos, and graphics to reports to quickly make clients and stakeholders aware of problems encountered on sites. While these new reporting techniques won't reduce litigation overnight, by making documentation easier to record and more accessible to all parties, it can certainly help to avoid the pitfalls that lead too often to court.